Honeymoons are very important for newly wedded couples. It helps strengthen their union by allowing them to bond and understand each other. However, a good number of newlyweds still do not go or postpone their honeymoons due to lack of funds. Some couples go to the extent of getting into debt just to finance their dream honeymoon. Statistics show that roughly 14% of the total wedding budget goes to a couple's honeymoon. 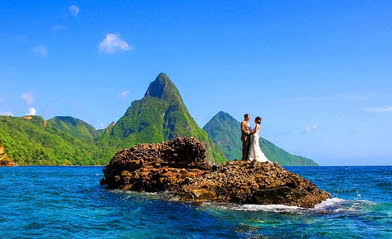 Below is a list of twelve beautiful honeymoon destinations that honeymooners can tour and have fun even if they are on a budget. 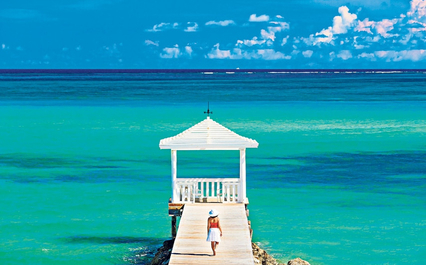 The Bahamas has been a prime location for honeymooners for a long time. Apart from its beautiful sandy beaches, there are tons of activities like snorkeling or scuba diving that newly wedded couples can enjoy. There are also a ton of other prime locations such as the Andros islands or Grand Bahama where honeymooners can have fun and sightsee. Also known as Unguja by the locals, Zanzibar is a beautiful island is located in East Africa. The island has attracted tourist to its shores for a long time. It is also one of the best destinations for couples on honeymoon. The island is a rare gem and is very rich in culture. Most of the architecture, food and even the local language has been inspired by Arabs who came to the island centuries ago. Couples can also enjoy long rides into the ocean on traditional boats known as dhows. Visiting France has been on the bucket list of many people. This could be attributed to its rich culture and its affinity for fine things. Love can be felt everywhere and the chance of you meeting couples kissing on the beautiful Paris boulevards are very high. This is almost normal in France making it the perfect place for lovers who are on honeymoon. 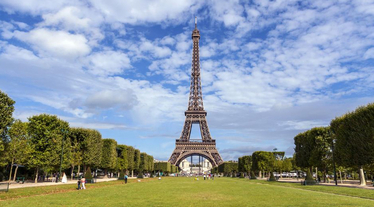 France also boasts of attractions that cannot only blow your mind but also keep you coming back for more. Apart from the Eiffel tower or the palace of Versailles, there are hundreds of castles around France couples can visit. This Caribbean nation is simply beautiful and a peaceful location for couples to bond. The island is surrounded by beautiful sandy beaches which are good for swimming, scuba diving or even a boat ride. There are also a good number of active volcanoes that erupt which attracts tourist to see this rare phenomenon. Couples can also enjoy hikes into the jungles of the island as they enjoy seeing wildlife. Las Vegas is one of the most popular travel destinations for tourists and couples on honeymoon. 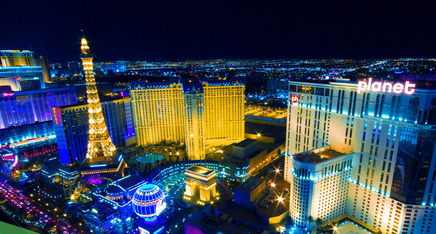 Also known as the gambling and entertainment capital of the world, Las Vegas is simply amazing. Here couples can enjoy live shows, gambling or even just walking around the city taking photos. For couples who are not yet married Las Vegas has been cited as one of the most popular locations for a wedding and honeymoon. There are dozens of chapels and ordained ministers around Vegas that can officiate a marriage at any time but at a cost. 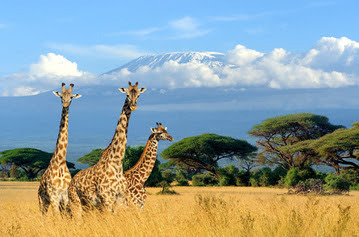 This East African nation is one of the most popular travel destination in Africa and the world in general. It boasts of a variety of wildlife, sandy beaches, and rich culture. Parks in Kenya are world class and home to a wide variety of wild animals making it a suitable location for couples to go on a safari. The Kenyan coast is also a popular location due to its beautiful sandy beaches and rich culture. Most Kenyans can speak and write English fluently and communication may be easy. Indonesia is a very popular destination in Asia. The island is made up of thousands of beautiful islands. Indonesia boasts of beautiful beaches which are good locations for scuba diving and boat rides from island to island. Indonesia is also known for the volcanic mountains which are still active and jungles which are home to thousands of wild animals which include elephants and rare birds. Africa's largest economy is also a popular hot spot for honeymooners. 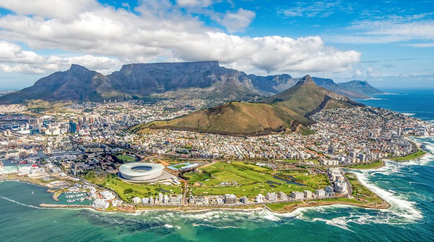 South Africa boasts of beautiful beaches that are good for scuba diving, swimming, and even surfing. South Africa also has award-winning Kruger Game Park which is home to a wide range of wild animals. Couples can also enjoy wine tasting in Cape Town as they sample the local South African cuisine. 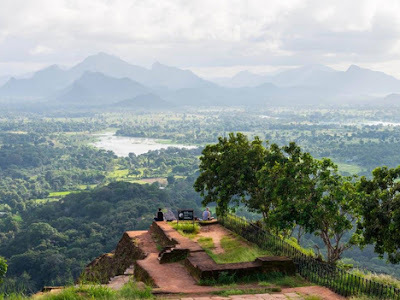 Sri Lanka is one of the most romantic destination in Asia. It was named by Lonely Planet as the best country to visit in 2019. This could be attributed to its beautiful beaches, jungles, wild animals and beautiful culture. Besides enjoying the beach newly wedded couples can enjoy hiking in the jungles of Sri Lanka. They can also get a glimpse of a variety of wild animals as they hike through the jungles. 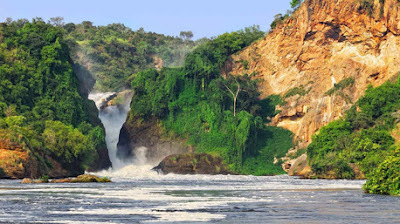 Called the pearl of Africa by Winston Churchill himself, Uganda is an East African nation with endless beauty. Though it has been on the media in the past for all the wrong reasons, Uganda and its people have healed and are rebuilding the pearl of Africa. It is rich in forest cover creates hospitable conditions for wild animals such as baboons, elephants, birds, and even lions. Apart from seeing wild animals newly wedded couples can enjoy a boat ride over Lake Victoria or the river Nile. Brazil is one of the best places to travel for a honeymoon on this list. The South American nation boasts of world-class heritage sites and rare spectacles that can only be found in Brazil. One of the spectacles includes the statue of Christ the Redeemer which attracts thousands to the country's capital, Rio de Janeiro. Brazil's beaches are also a popular destination for tourists and honeymooners alike. Brazil is very culturally rich and several events and carnivals are held every year around the country. Italy is a very beautiful country with a lot of history which dates back centuries. 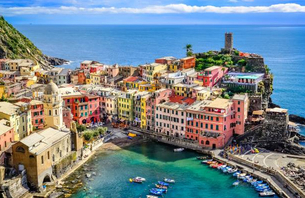 Italy has been a prime location for honeymoons and solo or family vacations for ages. It boasts of rich culture, good food, art and beautiful architecture. Italy also has beautiful beaches where couples could go out and have a swim or just sunbathe in the sun. Apart from the beach, couples can also tour beautiful Italian cities such as Venice or Florence. In order to ensure that you do not get stranded during your honeymoon, it is advisable that you should plan your honeymoon well in advance.